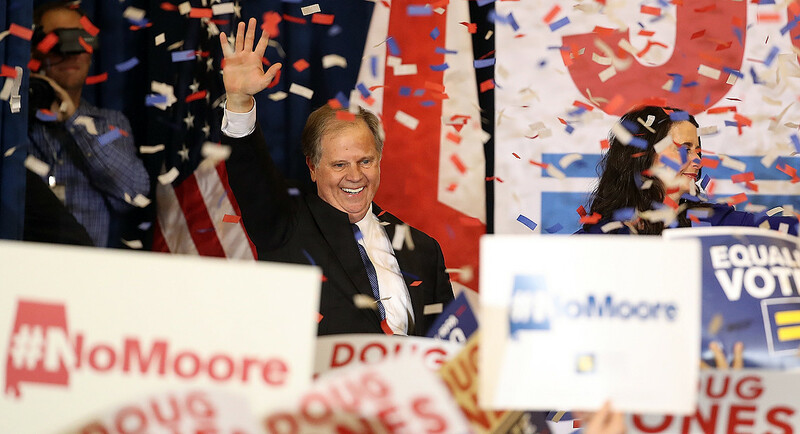 Sen.-elect Doug Jones greets supporters Tuesday during his election night victory party at the Sheraton Hotel in Birmingham. "Part of the problem with this campaign is we’ve been painted in unfavorable and unfaithful light," Jones said. "We’ve been put in a hole, if you will."